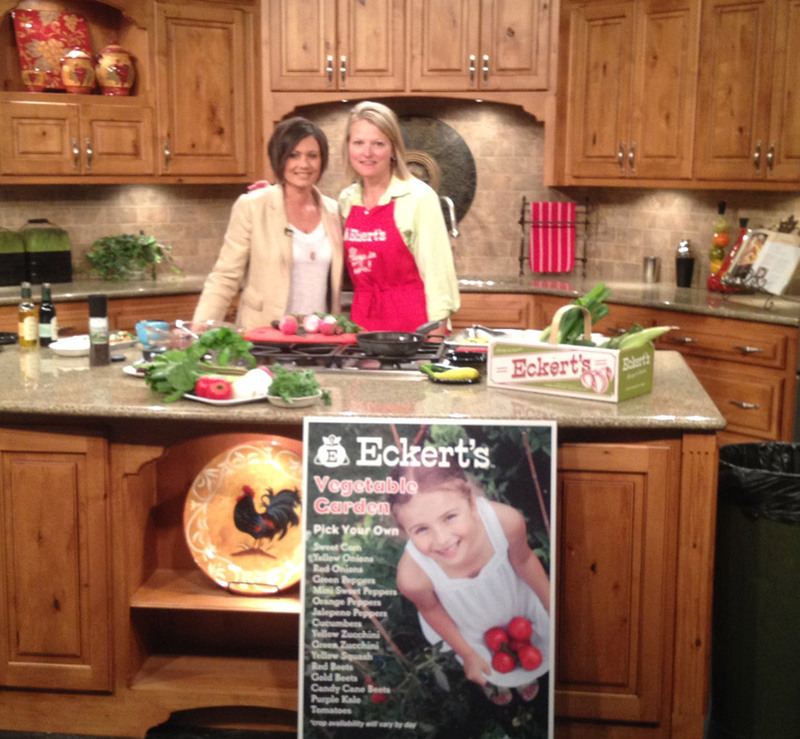 Thank you Heidi Glaus and Show Me St. Louis for having me in the KSDK kitchen today. I have so much fun cooking on camera… if only I could do it everyday! Today’s show was especially exciting because I was able to feature our first-of-the-season summer crops including tomatoes, zucchini, yellow squash, onions and beets in three recipes. I love all three of these recipes because they are simple and delicious. Since I only had 3 minutes to explain them, they had to be assembled in a snap! The first recipe featured fresh summer squash and zucchini roasted in garlic oil. After roasting I topped the veggies with Parmesan cheese. 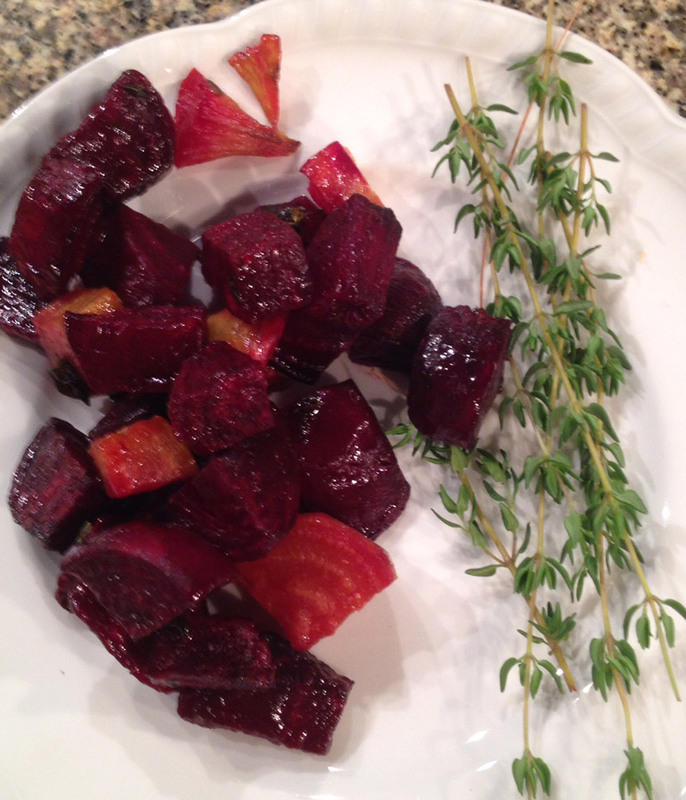 The second recipe, Heidi’s favorite, was thyme-seasoned, roasted beets. I peeled and cubed the beets so they would soften and sweet in just 30 minutes. Heidi and I discussed the option to top the beets with goat cheese. That made both of our mouth’s water! 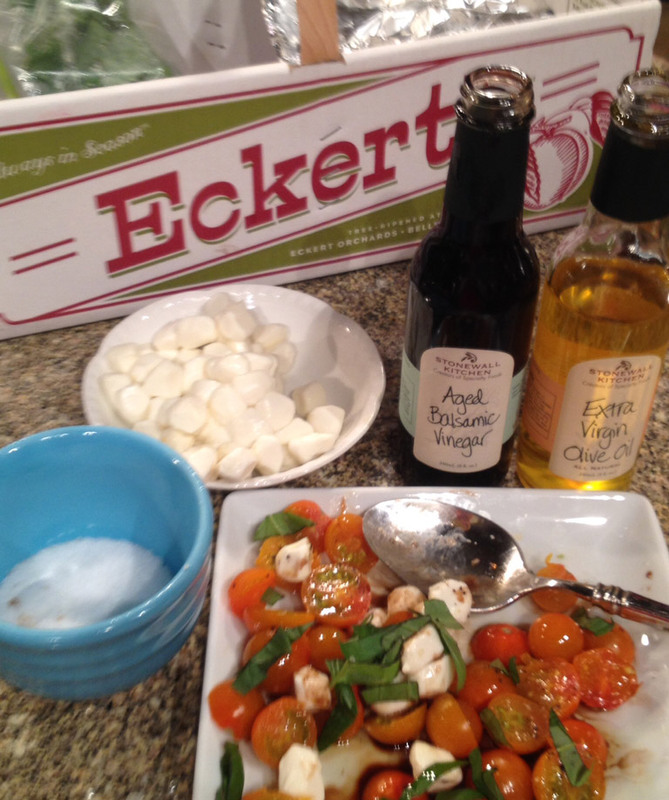 The third and most colorful recipe was a classic Caprese Salad using Eckert’s sungold cherry tomatoes. This is my go-to summer salad. In fact, I ate in the car on the way home! Catch me on my next Show-Me St. Louis episode on Thursday, July 17, 2014.
taste, and serve. 4 servings. Visit our Country Store in Belleville for homegrown tomatoes, squash, onions, beets, kale and more. Picked fresh daily from our fields!